Check these carrots out. I plucked them up earlier this week from my garden. My children thought it looked hysterical. Then my eldest son Justin asked, “what are you going to do with that?” My response was simple, “eat it!” My youngest Lily said, “let’s juice it mommy!” So, we did just that. 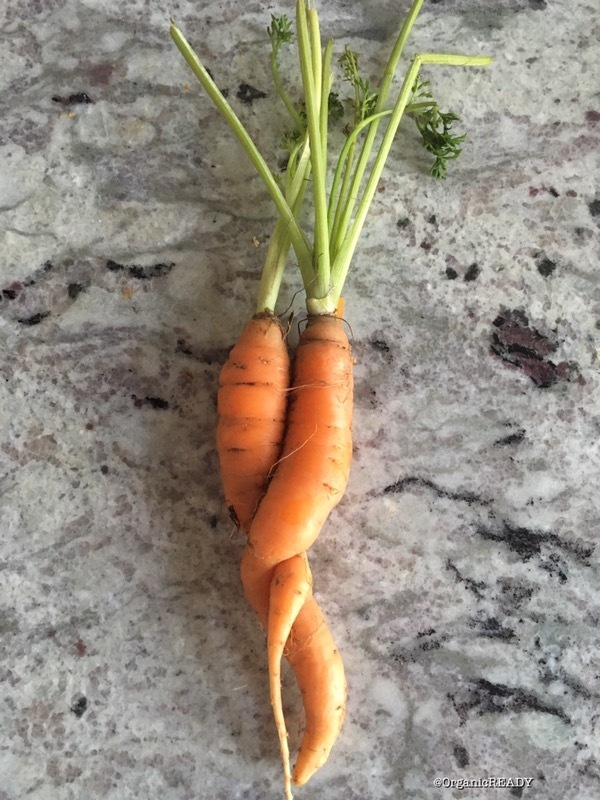 I have a profound appreciation for these kinds of so-called “ugly” foods, and not because I grew these carrots, because it’s food not worth wasting. Huge problems exists in our food system today that we as consumers deal with on a daily basis. We have Big Agro over spraying pesticides and herbicides, Genetically Modifies Organisms (GMO) contaminating our foods, and so much more. One very important aspect that doesn’t get enough attention, is food waste. In America alone, about 25% of produce is wasted before it even reaches the grocery store, and that’s just based off of looks. The most notable new data showed that the United States waste $218 billion a year, or 1.3% of GDP, growing, processing, and transporting disposing food that is never eaten. Its food totaling 52 million tons sent to landfills annually. Those figures are disturbingly our reality. With high homelessness, starvation, and educational cut backs year after year, it’s disgraceful to know these staggering figures is due to food waste. We live in a world that is constantly judging looks, our socioeconomic status, religion and race. You probably didn’t realize it but, food also is highly judged. Fruits and vegetables that are grown with disfigurations and scars are usually tossed to the side by retailers and consumers. They’re not considered edible by as many as 1:7 Americans. These foods end up as waste. So true–about food waste and what a great lesson to pass along to the little ones that appearance has nothing to do with substance!